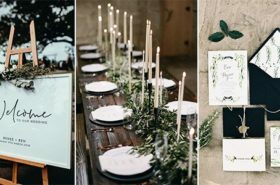 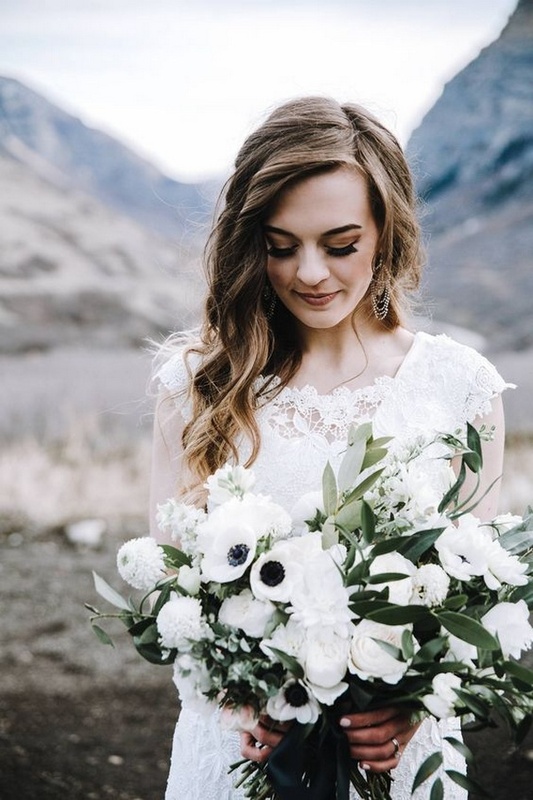 Anemones, with their striking jet-black centers, are a favorite bloom among brides and are starting to make their appearance at the flower market right now. 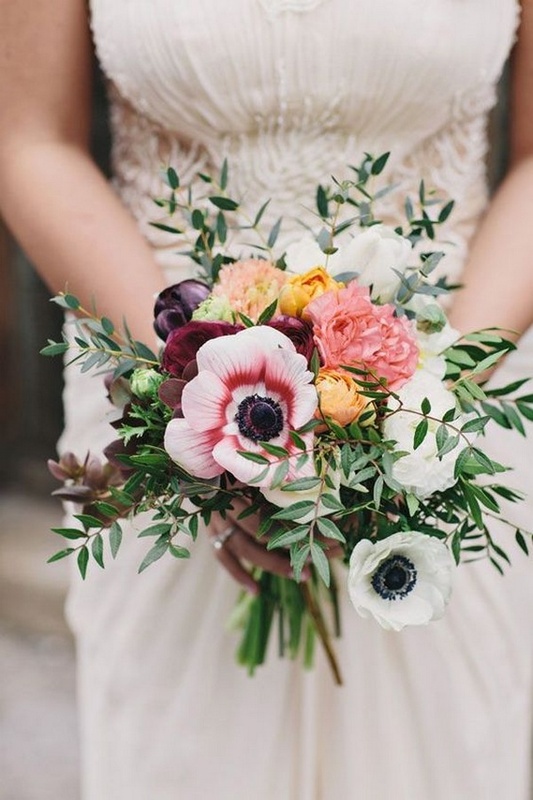 Anemones are typically in season from October through May. 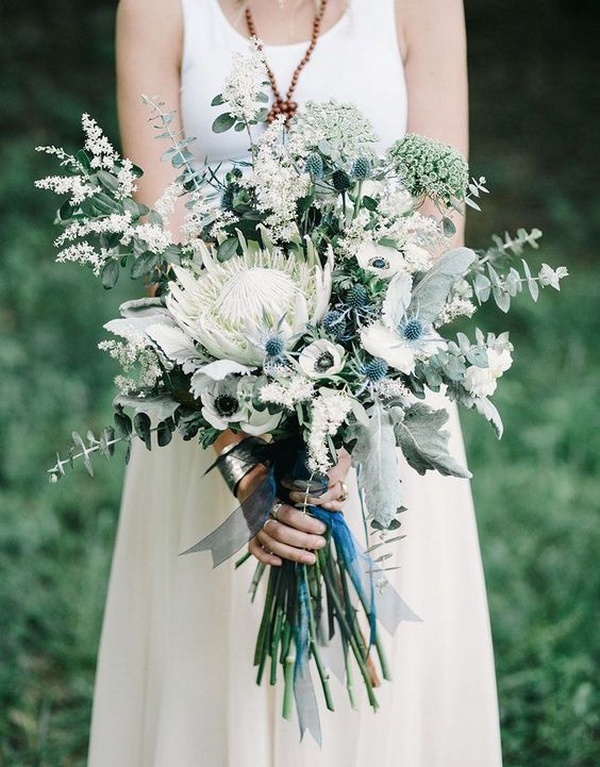 These beauties come in crisp white (by far the most popular variety) as well as bright red, pink, magenta, purple, and blue. 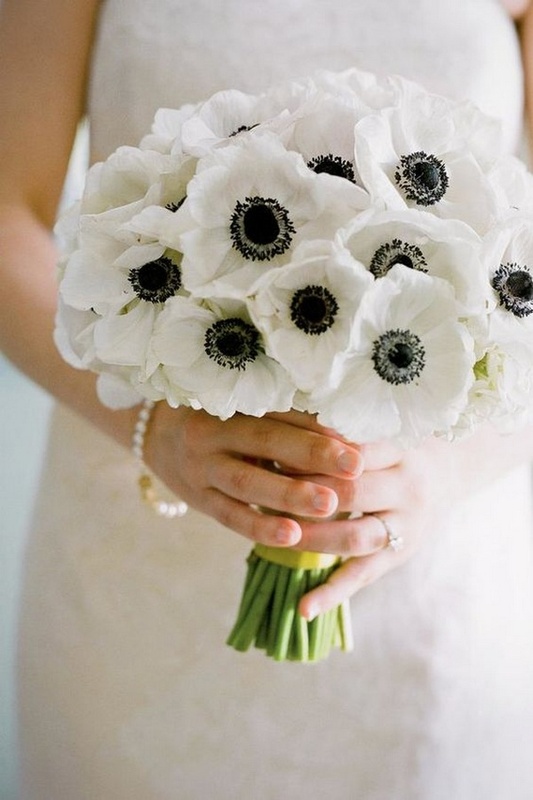 Additionally, there are other white anemone varieties with green centers as well as yellow centers. 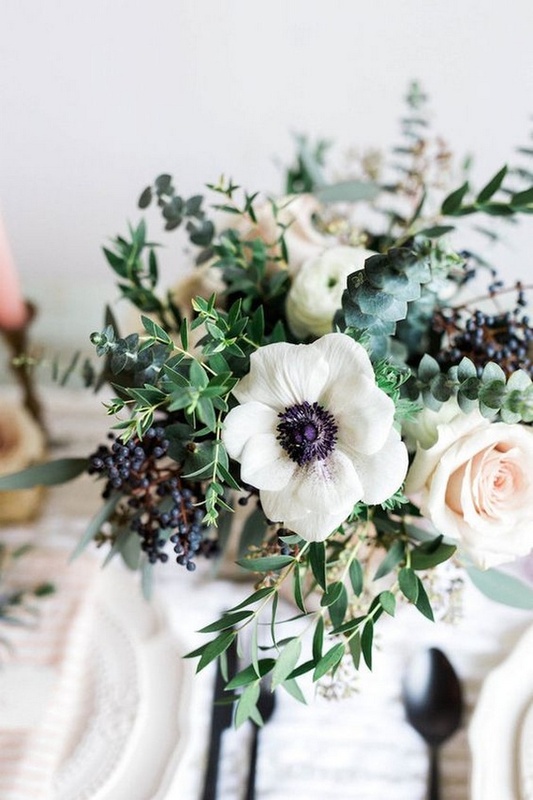 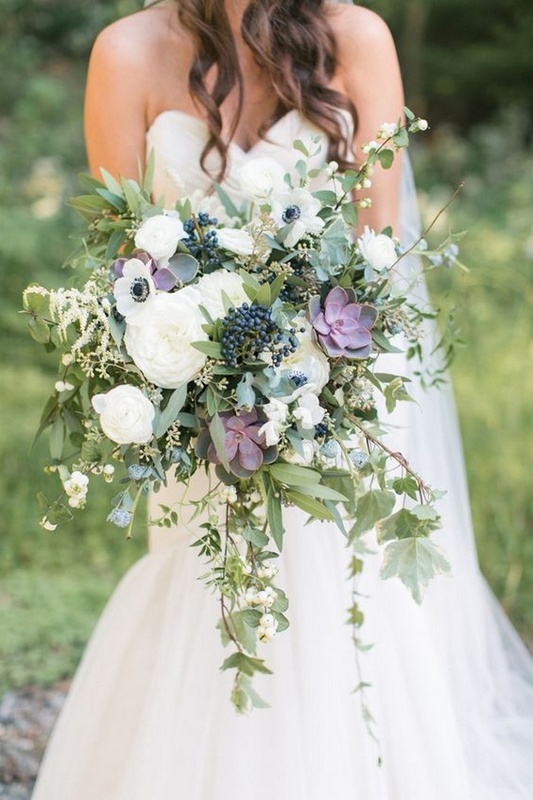 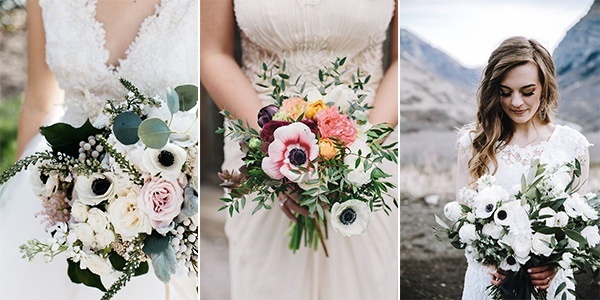 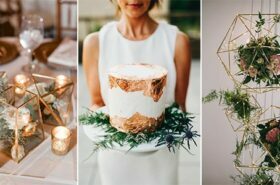 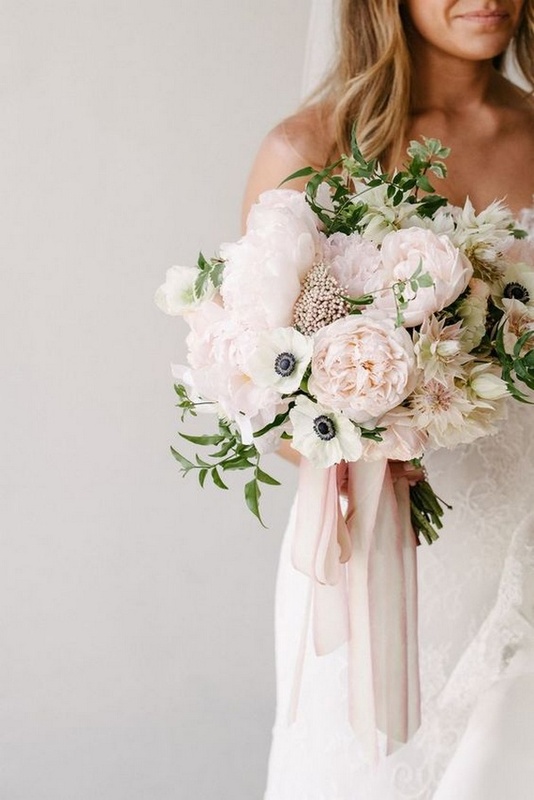 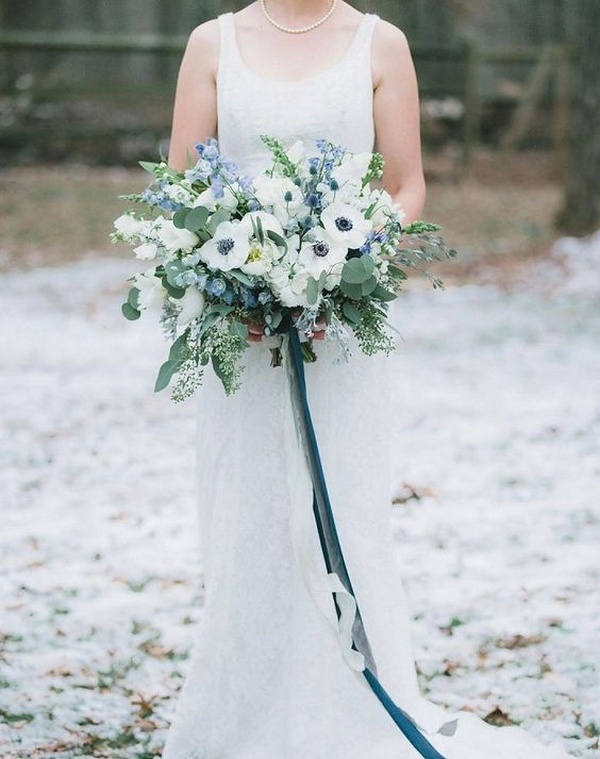 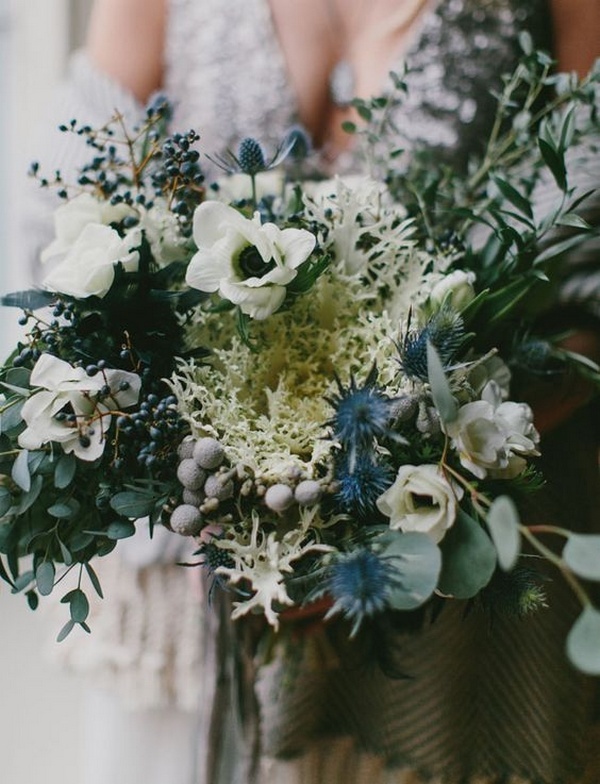 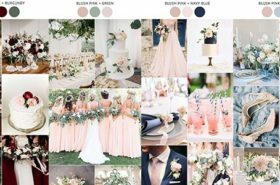 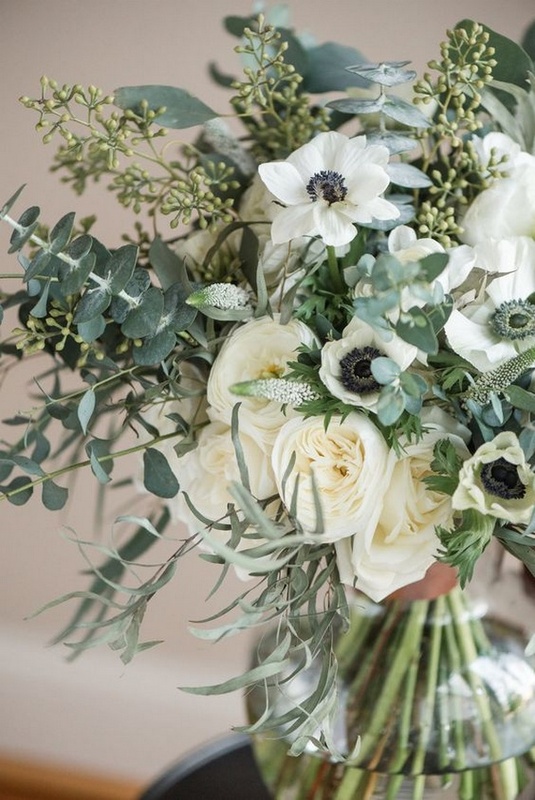 If you love anemones as much as we do, you’ll love these gorgeous bouquets I’ve found.